NavCom’s SF-3040 pole-mount StarFire/RTK GNSS Survey Receiver provides RTK-level accuracy up to 40 km away from the base station or 5 cm-level position accuracy, anywhere in the world, anytime. Powered by the Sapphire™ Engine, the SF-3040 provides 66 channel tracking, including multi-constellation support for GPS, GLONASS and SBAS including StarFire. The SF-3040 supports Ultra RTK™, which allows RTK accuracy (1.0cm + .05ppm) at up to 40km from the base station. 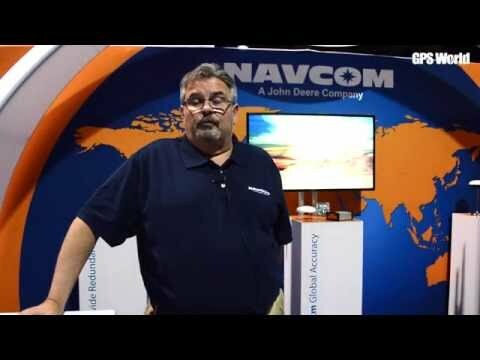 Combined with NavCom’s industry-exclusive RTK Extend™, users can work farther away from base stations and maintain RTK-level accuracy even during radio outages for up to 15 minutes. 2GB removable SD card and a geodetic-quality antenna enable millimetre-level accuracy from post-processing. Sapphire, the SF-3040’s GNSS engine, is a 66 channel GNSS with the required flexibility to track all civilian GNSS (GPS & GLONASS) and SBAS signals including StarFire. Sapphire’s industry leading receiver sensitivity provides more than 50% signal to noise ratio advantage over competing technologies. This results in improved real time positioning, proven through independent tests, when facing various multipath environments.